Hidden amongst the 118 islands of Tahiti, the island calls out to be discovered in 2013 and by yacht is one of the only ways to get here. Tikehau is considered to be one of the most beautiful atolls in Polynesia with enticing local markets and great waters full of coral reefs for snorkeling. In fact, in Tikehau, the density of fish in the lagoon is so high that Jacques Cousteau's research group declared it to contained the highest concentration of fish among any other Tuamotu atolls. It also has high, rugged mountain peaks, turquoise-blue lagoons, and white sand, palm-fringed beaches. Yacht of choice: The Golden Odyssey fleet, consists of three yachts. It also comes with a seaplane and over thirty pieces of sport equipment including a hovercraft and is one of the best yachts or exploring destinations like this. 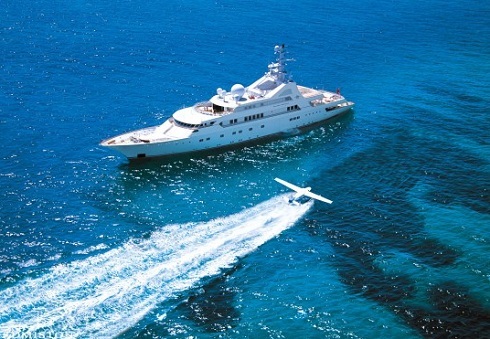 Charter available from $700,000 per week.